​“Nobody does it better” with the music of James Bond than the Spokane Symphony! Broadway stars Hugh Panaro — best known as the Phantom in The Phantom of The Opera — and Morgan James, featured in Postmodern Jukebox, headline the show. The two dozen Bond films that span five decades have produced some of the greatest movie music in history. ​It’s a musical salute to our veterans from all branches of the armed forces, with patriotic music and popular songs from each era of American military involvement, from World War I to the present day. Selections include hits from The Andrews Sisters, Peter, Paul and Mary, Bette Midler, and more. Veterans are encouraged to come in uniform. Don’t miss this celebration of our heroes in honor of Veteran’s Day. 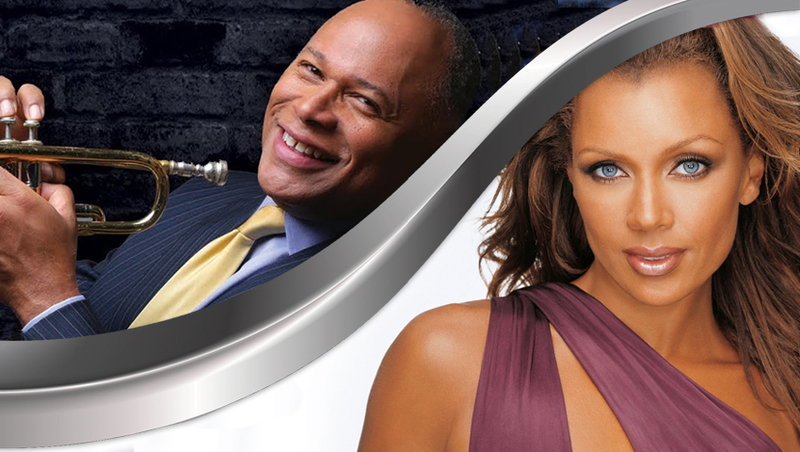 American pop icon Vanessa Williams will star in this season’s Holiday Pops, singing hits from her two holiday albums, and more. The critically-acclaimed performer has sold millions of albums worldwide and earned multiple Grammy nominations. The program will also feature traditional festive favorites, an appearance by our delightful out-of-town guest, Santa, and more. Holiday Pops is a beloved event that brings joy to the whole family. Put on your zoot suit and swing with the energetic sounds of Cherry Poppin’ Daddies, backed by the Spokane Symphony. This Eugene, Oregon-based band, established in 1989, set the bar for the neo-swing movement of the 1990s with their hit, Zoot Suit Riot. Enjoy the versatility of the Daddies’ music, riffing on early rock, mid ‘50s, hot jazz and Tin Pan Alley traditions, with some punk and ska tossed in. It’ll be a hot night with some cool cats! ​Celebrate St. Patrick’s Day in fine Irish style with fiddle virtuoso Eileen Ivers. She’s a nine-time All-Ireland Fiddle Champion, star of Riverdance, founding member of Cherish the Ladies, and has been called “the Jimi Hendrix of the violin” by The New York Times! The daughter of Irish immigrants, Ivers grew up in the Bronx, and became one of the most distinguished and innovative performers of the Irish fiddle in the world today. ​Imagine a night of time-traveling through the moody cabarets and speakeasies of old New York, Paris, Berlin, London and Atlantic City, reliving the 1920s in all their decadence. It was an era influenced by prohibition, gangsters, ingénues and intrigue. PROHIBITION takes you on a musical journey through the era, from Rudy Vallee and Josephine Baker to Kurt Weill and King Oliver.